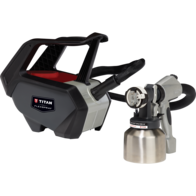 The T3 Electric Turbine has adjustable Outlet pressure for a better finish, and control. This a feature normaly only found on the top end units on the market today. This Q-Tech T3 3-Stage Turbine is available in 110V and 240V. An ideal unit for serious DIY or Contractor jobs and industrial use, giving long term reliability, and low running costs. 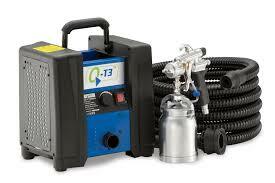 The Q-Tech Q-T3 gives you performance and more value than ever before. 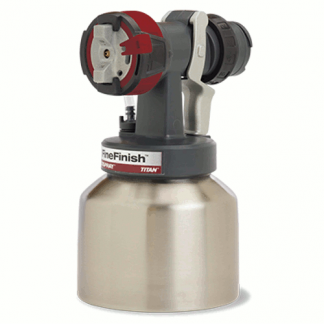 Get excellent results when spraying all Solvent based Materials such as: Enamels, Lacquers, Stains, Polyurethanes, most HVLP compatible Waterborne coatings and more. 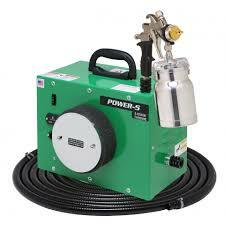 This Turbine Sprayer yields a high quality finish and suits professional and home-based operations. You can even change the Needle set in the Gun to Spray a variety of different coatings making this machine even more versatile. 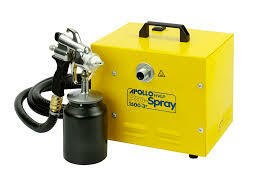 Supplied with 6 Mtr Hose and a high spec Q-TECH Turbine Gun.